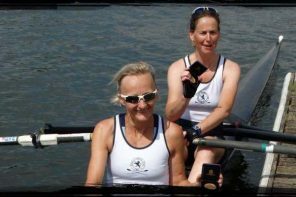 Henley Rowing Club competed at Marlow Regatta and Thames Valley Park Regatta over the weekend. The Senior and Junior Mens’ squads competed on Saturday at Marlow Regatta in preparation for Henley Royal Regatta. In the senior men’s events, the Elite quad came second in their final, whilst the Senior coxed four came 3rd in their respective B final. The Junior Men entered two boats into the highly competitive J18 quad event. The A boat made the B final, sculling to a respectable 5th place. The B boat progressed to the E final, where they achieved a notable second place. At Thames Valley Park Regatta on Sunday, the junior squad competed across numerous events at different age groups. The J13 boys crew of Oliver Taylor, Tom Crook, Henry Peters, Jack Spiers and cox Joe Edwards beat crews from Hinksey Sculling School and Guildford by over 1 length in the three crew final. The girls WJ13 crew of Felicity Parfitt, Jess Arlett, Sophia Hann, Amelia Crick and cox Emilene Warner beat crews from Guildford and Avon County with an easily verdict and received complimentary comments from the commentator on their excellent technique. 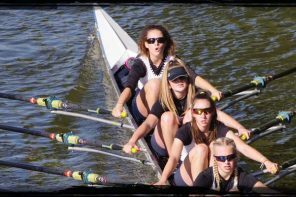 The WJ14 coxed quad of Ruby Brown, Georgina Robinson Ranger, Charlotte Moss, Eve Poulter and Gemma Sarney as cox defeated fellow squad members and a crew from Lady Eleanor Holles School in their three boat final. The WJ15 eight of Iona McNab, Lily Stimpson, Alicia Redman, Katy Claridge, Clare Pearson, Ella Wandless, Hannah Gutteridge, Anna Roe and cox Ella Morgan raced boats from Sir William Perkins School and Kings School Chester to win comfortably on the 500m course. 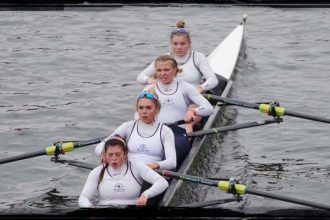 The WJ15 coxed quad of Katie Beale, Alicia Redman, Ella Wandless and Anna Roe added to the list of wins with a victory against Lady Eleanor Holles School. Charlie Rollet-Manus continued the Henley winning theme with a half length victory over Reading and Wallingford Rowing clubs in the J15 single sculling event. Next article3 events entered, 3 wins!